There are many ways to add dimension and interest to your handmade cards and scrapbooking pages. Embossing is a process that results in a raised surface. There are many ways to emboss a handmade card or scrapbook pages including heat embossing (the technique of adding embossing powders to a stamped image and heating these to create a glossy raised surface) and dry embossing (a process where an implement is rubbed over the back of a piece of paper which creates a raised surface on the front). Another way to add dimension to your projects is to use an embossing paste. Embossing paste is a thick paste which is applied to paper or cardstock. When dried, the paste creates a hard surface which can be left plain or further decorations added to emphasize the design. The paste is available in a variety of colors. The plain white embossing paste and transparent embossing paste are also ideal for customizing with colored mica powders, glitter, or other colorings. Embossing paste is often used in conjunction with a stencil. The paste is spread evenly over the stencil so that a raised design is created. The stencil is carefully removed and the embossing paste is left to dry. The drying process may take several hours, therefore this process is well-suited to being spread over two or more crafting sessions. For example, spreading the embossing paste one day and finishing the project the next. Other than the embossing paste, no other special supplies are required. However, if you want to add color or special effects then you will need these to hand. Other materials you will require are a stencil and pallet knife. A metal stencil is ideal for this technique as the stencil will stay firm on the page. Masking tape is also useful to hold the stencil in place. Many stampers and crafters like to make their own embossing paste. There are some interesting and detailed tutorials online that explain how to make your own embossing paste using readily available materials. If you prefer buying it, embossing paste can be purchased from your local craft store or online. Make sure the stencil is firmly held in place when you are spreading the paste, this will help to stop the design from smudging and will give you clean and crisp edges. Spread the paste carefully to ensure that it does not spread under the stencil. Work on a flat surface, this will also help to ensure you get good and crisp results. Make up a few designs with embossing paste so you will have some to hand in the future if time is short and you do not have time to allow the paste to dry. 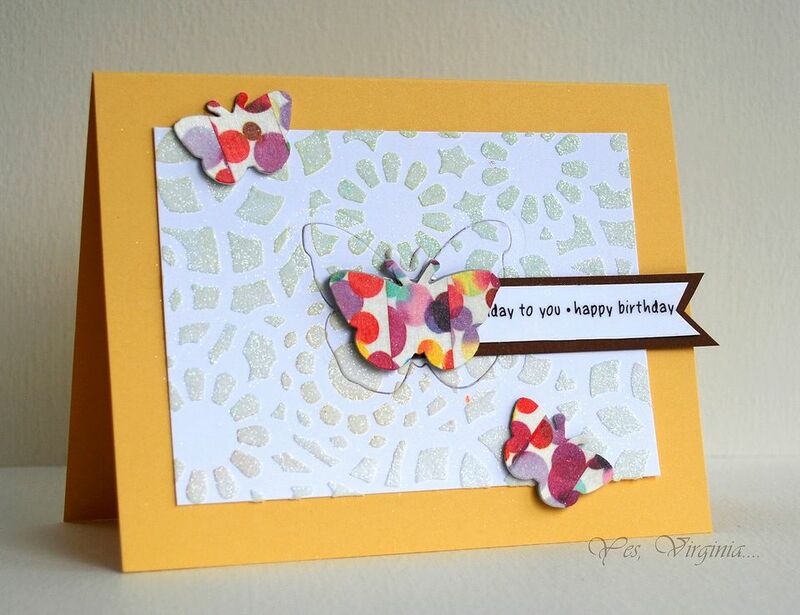 Use small pieces of cardstock or chipboard to create embellishments or accents for a handmade card or scrapbook page.